Building a stronger industry one relationship at a time. The only national trade organization with membership limited to hardwood sawmills and lumber concentration yards located in the United States. Ours is an association moving forward. Bound by a common thread, our members recognize the importance of working together – an extraordinary “community” that shares information and industry experiences for the beneﬁt of all. 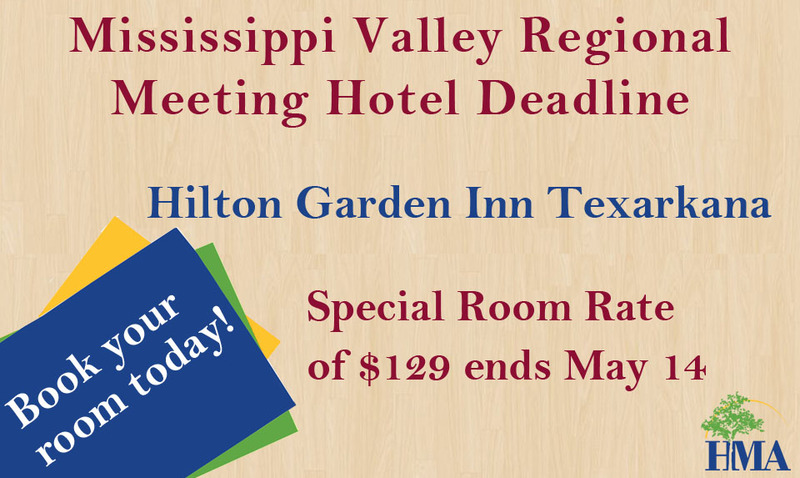 When you register for our Mississippi Valley Regional Meeting, don't forget to book your hotel room! Hotel reservations are due May 14! Looking to differentiate your Company from the rest of the pack? Signing on as a Mississippi Valley Regional Meeting Sponsor will do just that. Three Re$ource Purchasing Programs – designed to streamline daily operations and increase profitability - are now available to HMA members. Log into this “secure” area to browse the Equipment Center, converse with other HMA members, download HMA logos and much more.